Meet witches, snowmen, lizards and favourite nursery-rhyme characters in this joyful poetry collection for infants of every age! One day a boy went walking, and walked into a store. He bought a pound of sausages, and put them on the floor. The boy began to whistle, he whistled up a tune. And all the little sausages danced around the room... The inspired creators of The Runaway Dinner are proud to serve you up a shouting, screaming, smiling, whistling, playing, chasing, rhyming romp for children of every age. 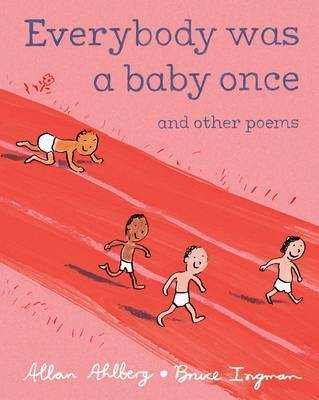 Nineteen poems, funny, wistful, delightfully illustrated, introduce a merry cast of babies, witches, sausages, robbers and favourite nursery-rhyme characters that will enchant everybody who is - or was - a baby!